Come celebrate the release of our debut album “Ghost Tracks” and watch us rock the stage live; along with very special guests Fifty Dollar Dynasty! 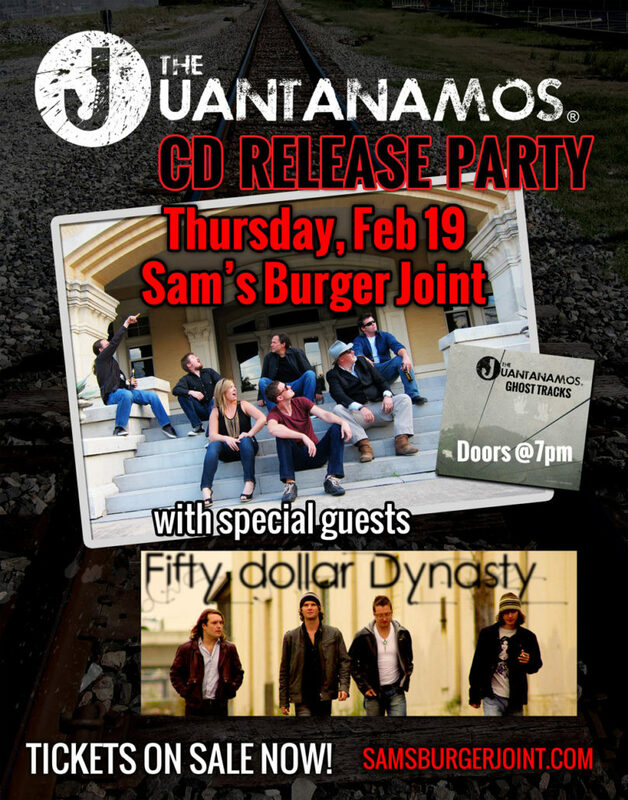 Tickets are on sale now at samsburgerjoint.com. This is your chance to grab your own, authentic, Juantanamos t-shirts and pick up a copy of our new CD “Ghost Tracks”; while supplies last. All ages are welcome. Let’s rock!